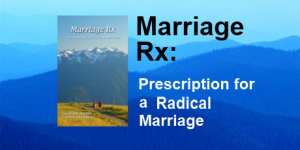 Marriage RX: Prescription for a Radical Marriage (a Two Worlds Publication) has been out for sometime. It is drawn from a seminar of the same name and is available in print, digital, and soon, audio formats. Recently, the authors completed a video summary of the book for those who are curious about this valuable resource. Here is the clip, produced and narrated by co-author, Calvin Tadema. This entry was posted in Marriage Rx, TWM News on September 29, 2013 by Two Worlds Media. We just put up a Facebook page for the latest TWM release, Marriage RX – Prescription for a radical marriage. Here’s the link. Why not visit us over there and maybe even “like” us! After all, we like you! This entry was posted in Marriage Rx, TWM News on February 21, 2013 by Two Worlds Media. I just pulled the trigger on the first run of Marriage Rx – Prescription for a Radical Marriage. A few books should be here on Friday, February 1st. 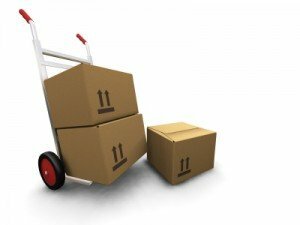 The next shipment will be here on the 7th. We’re going to make the first 50 available at the dedication and release party on Monday the 4th. How exciting! This entry was posted in Marriage Rx, New Release on January 25, 2013 by Two Worlds Media. We want to invite you to a dedication ceremony for Marriage Rx – Prescription for a radical marriage. The Tademas and the Mayhews have collaborated on the project, but as the book is released we don’t want to use the world’s methods in the partnership. So, rather than draw up contracts and such, we want to gather the church (several congregations) to witness our arrangements with the understanding that we are answerable to the church regarding our conduct toward the work and toward one another. We would be honored if you would help us in that. This entry was posted in Marriage Rx, New Release, TWM News on January 23, 2013 by Two Worlds Media.